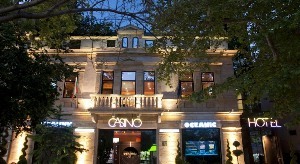 LOCATED: Hotel Oceanic is set in the centre of Varna. Guests can reach Varna’s major sights such as the City Clock or the Archaeological Museum of Varna within 500 metres. The beach is reachable within a 10-minute stroll from the Oceanic. Varna is named „The Sea capital of Bulgaria ”and is the largest city and seaside resort on the Bulgarian Black Sea Coast. Varna is accessible by air (Varna International Airport), sea (Port of Varna Cruise Terminal), railway (Central railway station), and car. Airport Varna serveced over 65 bulgarian and a foreign flight companies. The Varna airport is one of the three international airports in Bulgaria working all year round. 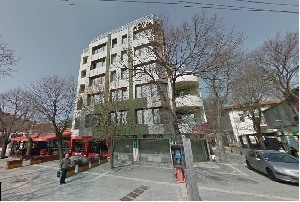 Varna is a major tourist destination, a starting point for all the resorts in the northern Bulgarian Black Sea Coast, business and university centre. City landmarks include the Varna Archaeological Museum, exhibiting the Gold of Varna (the oldest golden treasure in the world), the Roman Baths, the Battle of Varna Park Museum, the Naval Museum in the Italianate Villa Assareto displaying the museum shipDrazki torpedo boat, the Museum of Ethnography in an Ottoman-period compound featuring the life of local urban dwellers, fisherfolk, and peasants inthe late 19th and early 20th century. The Sea Garden is the oldest and perhaps largest park in town containing an open-air theatre (venue of the International Ballet Competition, opera performances and concerts), Varna Aquarium (opened 1932), the Dolphinarium (opened 1984), the Nicolaus Copernicus Observatory and Planetarium. The city hostsVarna Summer International Music Festival, Varna Summer International Jazz Festival, European Music Festival, Golden Dolphin Intenrtional puppet festival, Love is Folly film festival, Varna Summer International Theatre Festival and many others.